HP students share their summer internship experiences. For my summer internship, I returned home to Montana to join the Montana Preservation Alliance (MPA), the only statewide, nonprofit dedicated to saving and protecting Montana’s historic places, traditional landscapes, and cultural heritage. The six-week internship, lasting from June 10th to July 21st, was the initial step taken by MPA towards developing a comprehensive interpretive plan for two of the state’s most valuable resources in terms of pioneer architecture and log construction, the mining towns of Virginia City and Nevada City. Due to time restraints, my independent research was focused solely on the under investigated Nevada City with the principal objective of integrating any existing documentation with new information conveying the physical history of each state-owned structure within the Nevada City boundary from the time of the building’s original construction up to the present day. In doing so, an architectural inventory was compiled, identifying the history of each of the 122 properties under the state’s protection. Once situated along a fourteen-mile stretch of rugged terrain that cut through the heart of southwest Montana, Nevada City, and the metropolis of boomtowns that would soon develop, witnessed the settlement of 10,000 miners practically overnight as the Gold Rush hit the streams of Alder Gulch in 1863. The very nature of the mining industry allowed for this phenomenon to concentrate the physical and cultural development of entire towns along the gulch in an unprecedented short amount of time. The resulting architecture is a true reflection of the expedited urban development of the western frontier and offers a kind of eclectic vernacular style that can only be found in this region. However, the industry that birthed Nevada City would also become its demise as the developing mining methods became increasingly destructive environmentally. 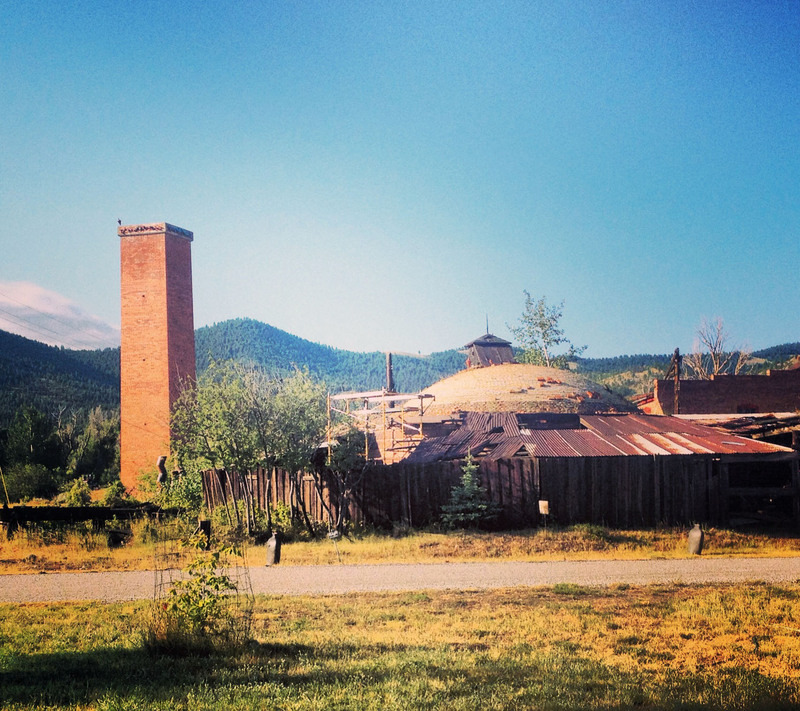 By 1930, only a few original structures remained as the rest of the town was demolished by the placer mining. It wasn’t until 1958 when Charles Bovey, the General Mills heir and Montana resident, sought the establishment of an open-air museum, that Nevada City was reconstructed through the relocation of numerous late 19th – early 20th century buildings from around the state. Now dubbed the “Williamsburg of the West,” Nevada City rests in the hands of the State of Montana’s Montana Heritage Commission (MHC), which is greatly underfunded and understaffed. My work to locate, identify, and integrate disparate analog and digital primary sources as well as interviewing the MHC’s curator emeritus on each of the buildings will hopefully greatly enhance and facilitate future preservation and interpretive planning for the site. 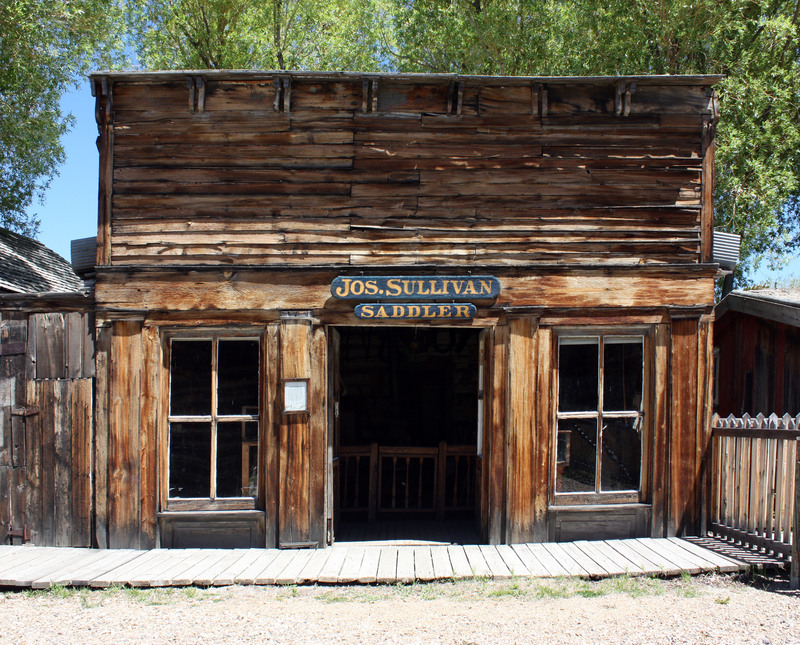 Sullivan Saddlery – Built in 1863 in Fort Benton, MT, the shop was one of the first buildings to be relocated to Nevada City in 1959. The building stands as the frontier translation of urban architecture. 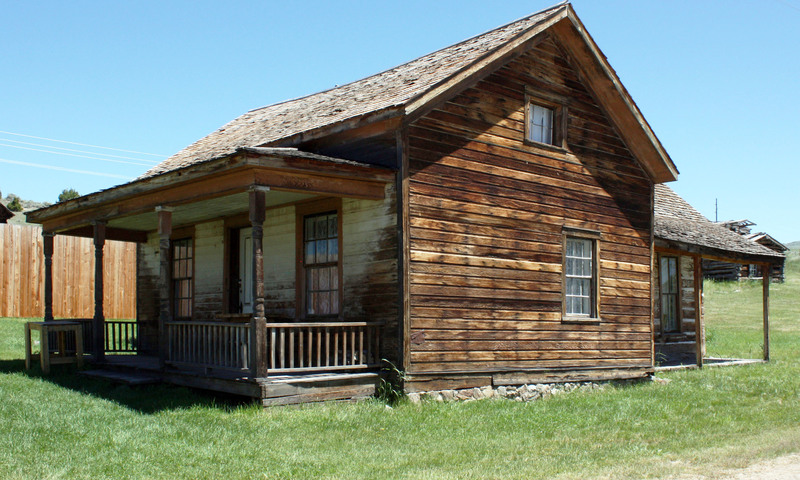 Edmiston House – An example of domestic architecture on the frontier, the house began as simple log cabin in Laurin, MT in 1870. In order to signify acquired wealth and sophistication, settlers would often masquerade their log homes as balloon-framed structures by covering the logs with wood siding and adding on porches and gingerbread detail as seen in the home’s current condition. 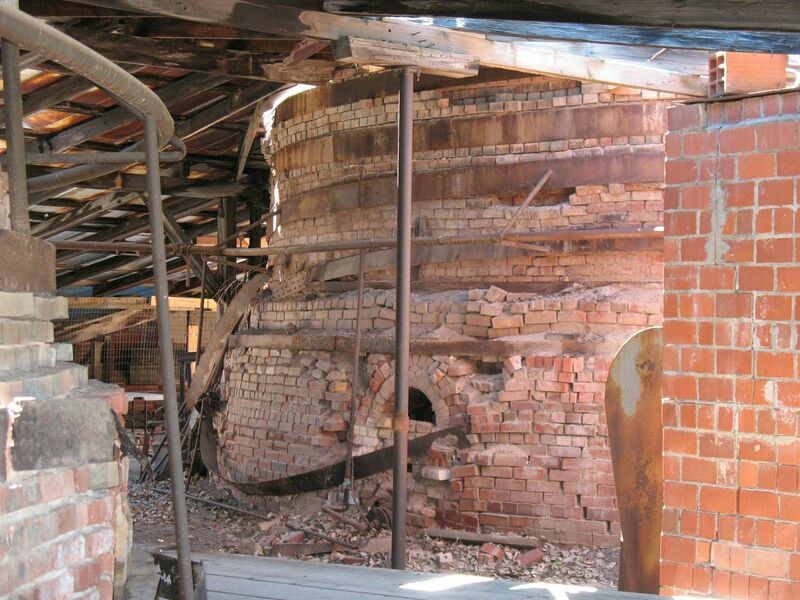 Kiln 7 – Of the eight brick kilns that inhabit the Western Clay Manufacturing Company’s industrial campus, our conservation work was focused on Kiln 7. 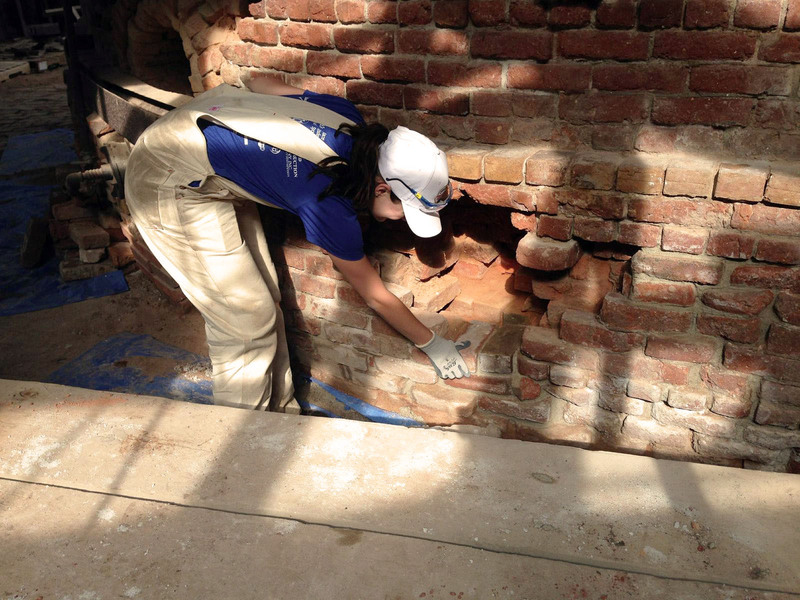 Under the supervision of Penn faculty and guest instructors, we “engaged in the very means of professional practice: observing, describing, and implementing interventions in a self-reflexive context,” by continuing masonry treatments on the factory’s downdraft brick kilns. Divided into pairs, each team was delegated the task of restoring/conserving their section of the kiln’s exterior. Techniques that I learned and then performed on my section of the kiln included a method of salt removal known as poulticing, the relaying of loose or missing brick, the repointing of existing brick, and the grouting of any voids between the brick wythes for structural consolidation. The challenge with performing such work on what is essentially a ruin was determining what level of intervention needed to be accomplished in order to prevent the structures continued deterioration yet maintain its aesthetic value and interpretation as a now abandoned industrial site. In this situation, conservation becomes an act of art as the new is manipulated to blend seamlessly with the old. Overall, I couldn’t be more pleased with the outcome of my summer internship. The opportunity to advance my knowledge in my chosen field of study while simultaneously contributing to the recognition and preservation of my own cultural heritage has been a rewarding experience filled with fond memories and new friends.